I know many female IT professionals. In some parts of the tech field, there are lots of women. In others — including software development — females are fairly rare. Is this a problem? If so, why? Those are legitimate questions. Do companies have compelling reasons to recruit more female developers? Do universities have compelling reasons to seek more female computer science students – or more female computer science faculty and researchers? Do open source projects and other peer-driven collaborative ventures have compelling reasons to welcome female contributors? I say yes to all the above. The reasons are difficult to articulate, but it’s clear to me that a programming culture that pushes women away is cutting off access to half the pool of available talent. I also believe (at a gut level) that gender-balanced departments and teams are more collaborative, more creative, and more welcoming to those females who work there – and to many men as well. This is a problem of culture, not one of intelligence, talent, drive or initiative. The macho attitude pervading many coding shops creates a hostile attitude for many women. Not just hostile. Sometimes the project teams are quite literally abusive in ways both subtle and overt. In that sort of toxic environment, everyone, men and women alike, are justified in finding someplace more welcoming to work or study or contribute. When women chose a different department, a different company, a different career, a different academic major, or a different online community, everyone loses. What are the solutions? I truly don’t know. 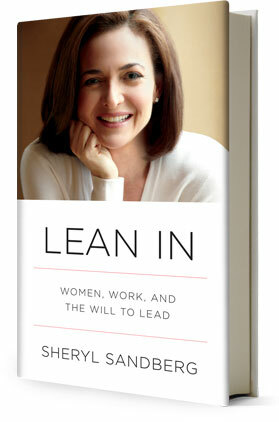 I don’t believe that books like Facebook COO Sheryl Sandberg’s “Lean In” have the answer. Similarly, I don’t believe that Yahoo CEO Marissa Mayer can serve as a reasonable role model for female rank-and-file programmers. The life of a huge company’s CEO or top executive is worlds away, no matter the gender, from the workers in the cubicles. Yes, it’s fun and informative to learn from standout performers like Sandberg, Mayer, Carol Bartz, Meg Whitman, Ursula Burns or Virginia Rometty. However, their example does not clearly illustrate a career path that other women can follow, any more than the typical male programmer can advance by copying Steve Jobs, Bill Gates, Larry Ellison or Mark Zuckerburg. Let me point out a few resources. “Open a Gateway for Girls to Enter the Computer Field,” a great story last week in the New York Times. The Anita Borg Foundation, which works to increase the impact of women in technology. Girls Who Code, a nonprofit that works to educate, inspire, and equip young women with the skills and resources to pursue academic and career opportunities in computing fields.